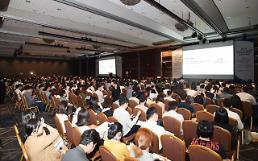 SEOUL -- Like previous industrial revolutions that changed the landscape of the world's economy and society as well, the Fourth Industrial Revolution spawns a huge impact, with the potential to provide new business opportunities to small and medium-sized enterprises (SMEs), a Chienese economist said. William Cheng, a senior advisor at AliResearch, the policy research arm of China's Alibaba Group, said that the 4th Industrial Revolution is certain to create new business models by upbringing inclusive economic growth. 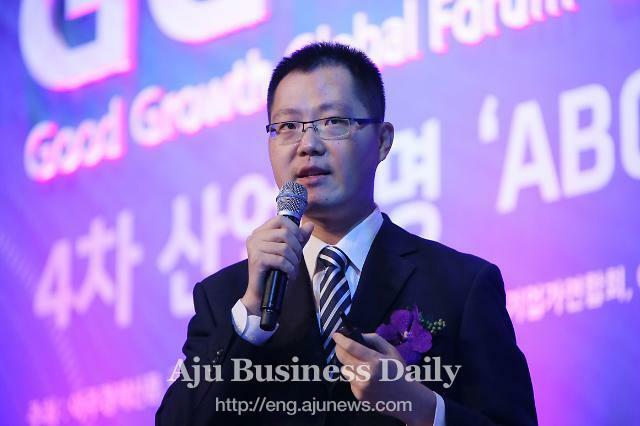 "By using technology platforms such as Alibaba and Amazon, SMEs do not have to buy expensive infrastructure, set up a global marketing team or deal with banks as all resources and services are provided by the platforms," he told the Good Growth Global Forum in Seoul, saying such phenomenon is one of the economic and social benefits to be brought by the 4th Industrial Revolution. 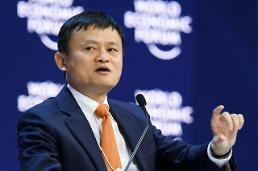 The Alibaba advisor said that the world has seen the introduction of a new business norm, based on new technologies such as artificial intelligence, big data and internet of things (IoT). "The businesses no longer use data or technology as supporting functions. Businesses will grow out of such technology." Alibaba, an e-commerce platform, is supported by about ten million SME sellers and 90 percent of them started their business with an investment of about 30,000 Yuan ($4,380), Cheng said, adding Alibaba's annual sales were raised by SMEs, not its own ability to sell. "Sometimes big data knows you better than yourself. Big data knows your hidden demands," he said, adding Alibaba is changing the landscape of the online shopping industry by sharing its big data and AI infrastructure with SMEs. The platform analyzes consumers' preferences by dividing them into 500 groups and leading them to online SME shops selling personalized products. Technologies of the 4th Industrial Revolution helped small business owners improve their financial state, said Cheng. Alibaba operates a service called "310 Loan", a 3-minute application, 1-second approval and 0 manual intervention monetary service for small and medium-sized business owners, and about seven million businesses are using the service with the average amount of money borrowed standing at about 30,000 Yuan. The loan service does not need bankers and other manpower to transfer and process checks and receipts as Alibaba uses AI to analyze big data about affiliated online store operators and transfer money into bank accounts, he said. With the loan service, Cheng said Alibaba has succeeded in targeting the niche market where conventional bank services could not reach due to limitations and regulations. Business owners can use it to improve their products and services. "If we assume the interest rate is high like 10 percent, the average annual interest will only be 3,000 Yuan," he said. Because the key idea of the Fourth Industrial Revolution is all about technology reaching out to ordinary people, new technology will launch the new era of inclusive growth, Cheng said, citing an example from an era when power generators were first invented about one hundred years ago. The improved accessibility and affordability of technologies will bring additional economic activity and benefits to large companies but ordinary people and SME owners will get their fair share and receive benefits.